Have you ever thought about PWC touring? You’ve come to the right place! Hi, I’m Craig Nicholson and I’m a Sea-Doo rider from Canada. I’ll be contributing to the new Sea-Doo blog with my personal adventures and opinions. I ride about 100 hours each season. That usually works out to between 2,500 to 3,000 kilometres (1,500 to 1,800 miles) of sheer pleasure! I’ve been riding Sea-Doo watercraft since the ‘90’s. I started out as a cottager who got one for playing on my lake. But I quickly realized how much more my Sea-Doo would add to my summer if I went exploring. As an avid snowmobiler, I’m used to exploring new places and visiting different destinations in winter. Doing the same each summer on my Sea-Doo just came naturally. Especially when my snowmobiler wife said that she wanted to go out on the water with me. So using our Ontario cottage as a base, most of our PWC riding is now day trips and overnight tours to other waterways. Boy is it a blast! So when you read my blog postings, remember where I’m coming from: I’m a touring Sea-Doo rider into destination cruising, not a gear head, racer or casual weekender. 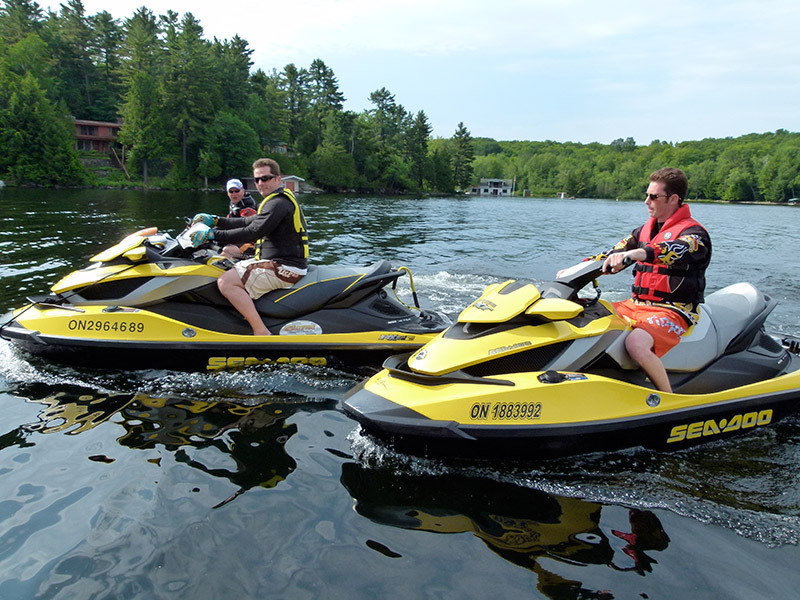 Previously, my wife and I have each had our own Sea-Doo GTX 155’s (she drives her own sled too). This summer, we wanted to try the full iControl package with suspension. Our new 2011 models are a GTX iS 215 and a RTX iS 260. I’ll tell you more about the measurable differences they make to our riding fun in my upcoming blog postings. And don’t worry if many of my adventures take place in Ontario. No matter where you live, I’ll provide practical cruising and touring advice and tips. You can use this info to expand your Sea-Doo playground in ways you may have only dreamed of until now. Talk to you next time!